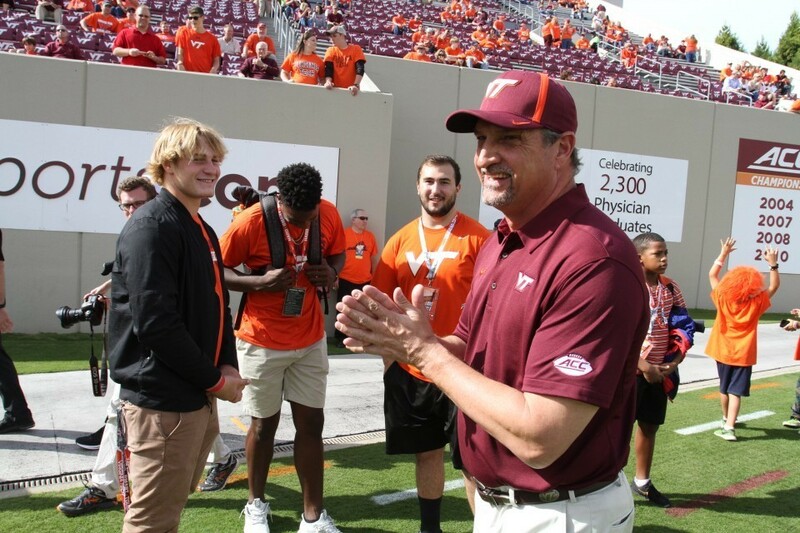 Bud Foster has committed three decades of his life to the Virginia Tech football program and to the university, and now he has decided to commit more than just his football expertise, as the Virginia Tech Athletics Department announced in 2017 that the longtime defensive coordinator has agreed to commit $100,000 through the Lunch Pail Defense Foundation to endow a scholarship for athletics. The $100,000 pledge is expected to be completely fulfilled during the 2019 year. “It’s just a way for me to give back to the university and to a department that has been so good to me for 30-plus years,” Foster said. 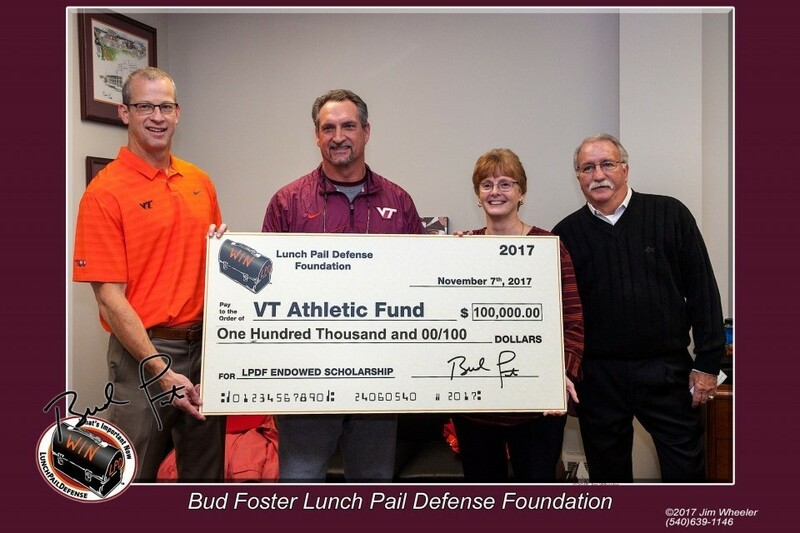 “We’ve had the Lunch Pail Defense Foundation for several years, and we created it for scholarship purposes for kids in the New River Valley and the Roanoke Valley. We just felt like, as we moved forward, with what the lunch pail is all about and what it means to the university and to the program … it felt like a no-brainer to get people involved and help endow a scholarship for the department and deserving student-athletes. 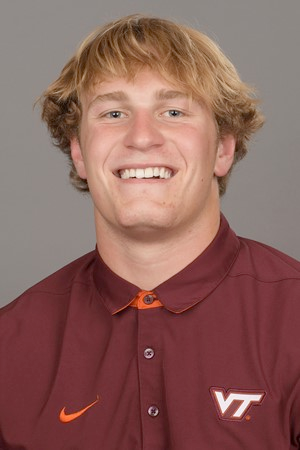 “I have noticed since I’ve been at Virginia Tech that I am extremely lucky to have earned a scholarship. Unlike many others, I do not have to worry about the financial burden of receiving an education, and I am truly blessed and thankful for the support of others. Lunch Pail Defense Foundation is a 501c3 organization and donations are tax deductible.